Solar in California: There is no other state that compares to the solar enthusiasm that California fully embraces. Well, as it turns out, California is one of the best, if not the absolute best state in the country for solar – and 2016 might be the best year ever to get started. 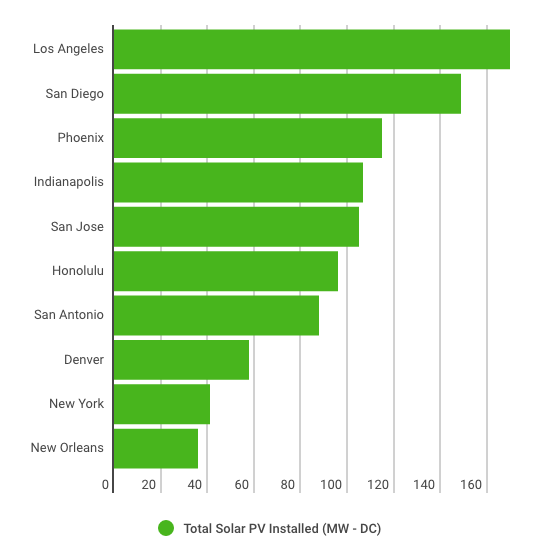 Is California really the best state in the US for solar? If you take a further look, there are 8 California cities in the study, 5 are in the top 10, 7 are in the top-15 (Long Beach and Freson round out the 7 CA cities). Only Sacramento falls way down to #37. Add on top of this a recent study about the effect of solar on home valuation, also by a major national research institution, and we see that solar is also a safe investment for your home. The basic point of the article is that in addition to the energy savings benefit of solar, adding solar to your home increases the resale value. An average solar system in California increases average home sale price by roughly $15,000. Specifically, an average solar system is about 3.6kW and the average additional resale value is calculated to be roughly $4.10/W (3.6kW = 3600 W x $4.10/W = $14,760). This assertion of increased home value is supported by Wells Fargo Bank and the national Appraisal Institute. If you still have room for another New Years resolution, it should definitely be: “Find out if solar is right for me.” What used to seem futuristic and out of reach for the average homeowner is now more affordable and in some cases, a residence or business can go from traditional energy to solar power in a single weekend. If you want to make the solar dream a reality, California is the ideal location. There are several reasons but one of the biggest is the increase in affordability. The average price of having solar panels installed has dropped an impressive 48% since 2010 and 6% in a year. Interested in going solar? There are plenty of factors to consider before making your final decision. Read on to learn all about the different solar options. The concept of going solar may be simple but getting there requires a bit of work. Solar power is so popular in California that five of the top 10 solar cities in the country can be found in the state. Los Angeles holds first place out of all cities in the United States, with San Diego and San Jose coming in second and fifth, respectively in the top 10. Not only does California hold the top spot when it comes to solar installations, it also produces more than half of the country’s total solar capacity. Some cities have some impressive goals set for the future. 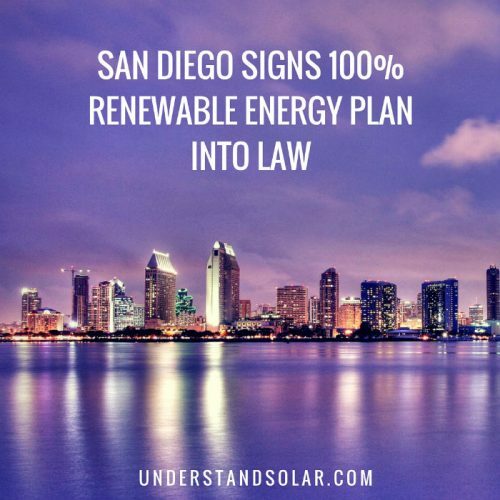 For example, San Diego hopes to meet all of its energy needs with solar and other types of renewable energy by the year 2035. San Jose is even more ambitious, hoping to meet their energy needs by 2022. Some cities are even requiring the use of solar panels. For example, Lancaster, California became the first U.S. city to require solar panels be installed on all new homes. The mandate states that every new housing development must average 1 kW per house. 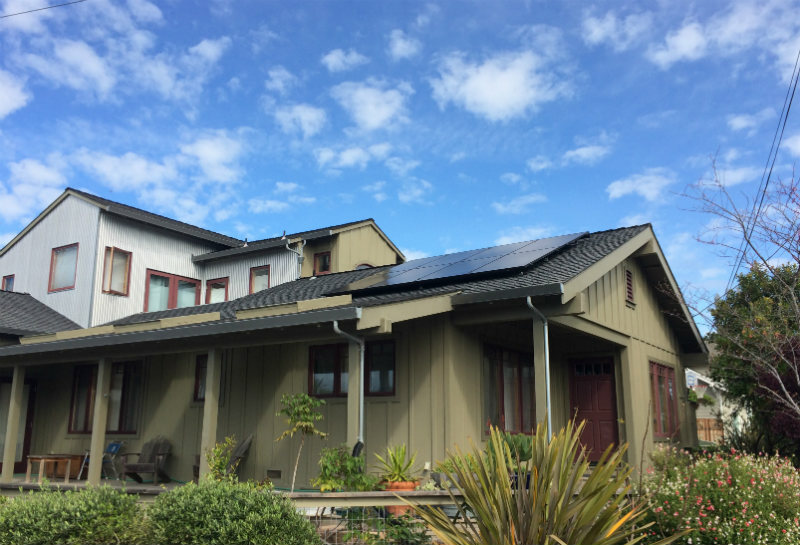 Just a couple of months after Lancaster passed this bill, Sebastopol, California passed a similar mandate, requiring new buildings to provide 75% of the expected annual electricity use through solar and other renewable sources. If you’re ready to soak in all that solar power has to offer you, let’s start breaking down all the elements of solar power and how to make the dream a reality in your home. No one likes to see the electric bill in their mail, but for some Californians, the financial hit can be pretty rough. The average residential electricity rate is 15.34 cents/kWh. This makes California the eighth most expensive state in the United States when it comes to electricity rates. While electricity consumption in California averages just under 600 kWh/month, 36.54% less than the national average, many homes consume a lot more energy and have bills well over $150/month. What do all of these numbers add up to? Most California households receive a monthly electric bill of $88. This adds up to the average household spending $1,056 a year on electricity. So how much can you save with solar energy? It depends on a few variables that we’ll be covering in more depth throughout this article. While we talk about averages below, the best thing is to get a quote or three from respected installers and compare apples to apples. As a general rule, you’ll see the most savings if your average bill is $125 or higher. A rule of thumb is either 3+ bedroom home or a swimming pool or jacuzzi, if you have both, solar is probably going to save you lots of money. The amount of money that you save per month with a solar panel system will vary, based on the size of your home, your solar panel system and how much energy you use in a day. Then there are differences between whether you buy your solar panels or lease them. For example, a cash purchase will mean a substantial upfront investment. A lease will allow you to invest less initially, sometimes as little as $0 down and pay less per month than your normal bill. But when you’re looking at the cost over the life of the system, the initial cash purchase can save a substantial amount of money. To make the math simple, let’s say that a family spends $100 a month on their electricity bill.This equals $1,200 a year. If they choose to buy a solar panel system (and pay cash) they will spend at least $10,000 in that first year getting the system set up. There’s no equation that will let us know exactly how much grid electricity they will still need but to keep this example simple, let’s say their solar panel covers all of their electric needs, their new bill would be $0. If the same family changes their mind and decides to lease their solar equipment, their monthly cost will certainly decrease. Again, there’s no way to pinpoint exactly how much their bill will shrink and it will depend on the lease agreement that they choose, but if they cut their electricity bills by 25%, they will be saving $300 a year. There are many other factors that affect the financial impact of solar panels. Let’s keep digging. There’s no doubt that the average out of pocket cost will be much, much higher with a cash purchase versus a lease. The average cost in California is about $10,000-$30,000 if you decide to purchase cash. With most leases, there is usually very little down, if anything. If you want to get started installing solar panels but don’t have the funds you need, a lease is your best option. The average payback period for a solar panel system at a residence is six to nine years. This depends on the initial cost of the system and how much is being saved each month. For example, an average residential system of 5kW would cost about $27,500. A 30% federal tax credit would be applied (available through 2016), bringing the grand total to $19,250. Depending on how much is being saved each year, it could take up to nine years to begin seeing a return on investment. This is only the case when the system is purchased with cash, though. When you lease a system, it can be harder to determine when exactly you begin to see a payback. Your monthly payments should instantly decrease, but it’s difficult to say over the span of several years if you are continuing to save as much. Solar energy is a wise investment but a large investment nonetheless. Luckily, there are a few different options when it comes to financing your solar upgrade. So even if your bank account doesn’t have 100% of the funds today, you can still have your solar project in the works by tomorrow. Leasing your solar panel system is a great option. Instead of owning your panels outright, a solar lease is an arrangement in which you rent solar equipment from a company and pay them a fixed monthly fee, similar to rent. The panels generate electricity, which lowers your bill. In most cases, this solar lease payment plus your new, lower electricity bill is less than your original electricity bill. In order to qualify for a solar lease, you’ll go through a similar process to leasing a car. You’ll undergo a credit check and provide additional information, including your name, current and past work experience, salary, expenses and other information as needed. If you’re not approved the first time, you can always apply again after doing what you can to improve your credit, like paying off debt and improving your credit score. 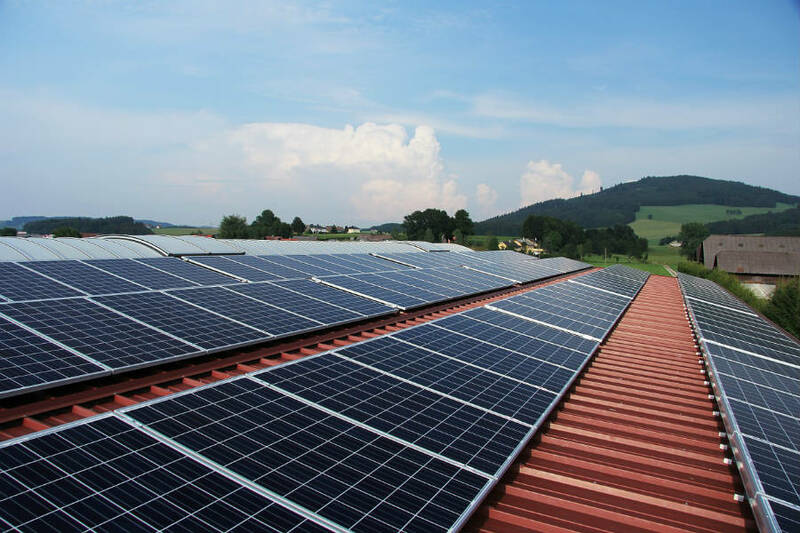 One of the benefits of working with a solar leasing service is that they constantly monitor your system to make sure that everything is running smoothly. If there is an issue, they might already be on their way to fix the problem before you even know there is one. Because the company you lease from owns the equipment, they will take care of any needed repairs at no extra cost to you. They will also offer all-inclusive coverage with your payments that will include protection against damage and theft. There are usually several payment options when it comes to leasing your solar power equipment. If you qualify, you can have your equipment installed for as little as $0 down and simply pay a monthly fee. You can also prepay a certain amount to lower your monthly bills or even pay a large down payment that could keep bills away for months. A Power Purchase Agreement, or PPA, is similar to a lease in that you don’t own the solar panels. However, instead of paying a flat monthly fee, you pay per kWh – similar to paying your current utility bill. Just like leasing, this option is simple and low-maintenance. Also just like leasing, you can expect to save anywhere from 10-30% on your monthly utility bill from the start. Your savings will vary each month, depending on how much energy you use. The application process is pretty much identical to that of a lease. Your credit will be checked, along with your work history and current information. If you own your home and have good credit, it’s likely that you will qualify for either a lease or a PPA, as long as your credit is in good standing and your income is stable. When you lease or use a PPA, the company that you work with is considered the owner, and the owner receives tax credits and other financial incentives. However, this isn’t all bad, as they pass on the savings to you. Another factor to take into consideration with leasing or PPAs is that the contracts are often quite long, usually 20 years. You are able to transfer your lease or PPA should you move, but the new owners of your home will also need to qualify for the services. If they don’t you can always buy the system out from the leasing or PPA company (which should increase the value of your home because the electricity bill will be next to nothing. If you can financially swing it, paying cash outright is the best option (as it normally is for most large purchases). There is no monthly payment or interest. Some avoid this option because of the sticker shock of installing a system. 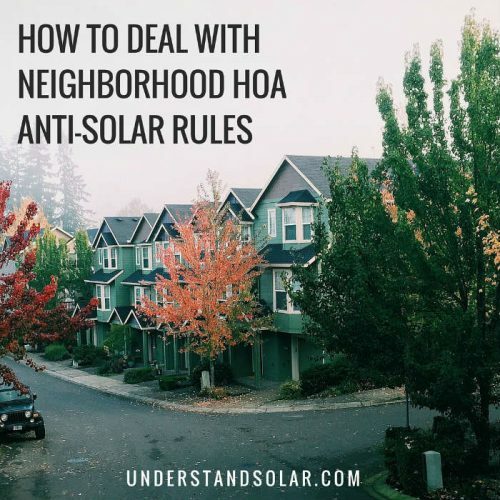 But if you’re able to pay the $20,000 average to install a new solar system in full, you can end up lowering your monthly bill to almost nothing. However, you have to have enough tax liability to benefit from the 30% tax credit and you’ll want to carefully read the warranty provisions as once those expire you will be responsible for maintenance. Even though a lease seems more affordable when faced with a giant installation bill, you will pay, on average, at least double that amount over the standard length of a lease. Many experts suggest that you will save more money if solar panels are bought outright. This doesn’t necessarily mean that the panels are paid in full right off the bat. It is possible to be given a loan in order to pay for your solar panels and still come out the other side in a better place financially. Should you choose to purchase your system with a loan, be sure to consider the interest rate. If it’s too high, this could actually mean that you’re paying more than the system is saving you. Here’s a rough breakdown of how a typical loan might work. For a solar system that costs about $60,000, a homeowner would likely invest just under $40,000 after state and federal tax credits (keep in mind that tax credits are coming to an end so this may not be a factor for you). A 10-year loan would make for a payment of around $350 a month. Now this would probably be more than an electric bill but by looking at the numbers, in the long run, it’s easy to see where the savings would come from. If this homeowner stuck with his standard electricity, after projected yearly increases, he would pay at least $100,000 more over a 25-year period, compared to solar panels. The homeowner could save even more if he was able to pay off the loan faster, avoiding some of the interest charges. It’s a little more difficult to qualify for a loan, compared to a lease or PPA. While you might qualify, based on your credit score and income, you may not be offered a low enough interest rate to afford the monthly payments. When speaking with qualified solar installers, inquire about a loan option. Don’t take out a poorly structured loan just for the sake of doing so. Keep the end result in mind and take the longer route if needed. At one point, the California Solar Initiative offered cash back for installing solar on a home or business. However, the rebates have been exhausted and the program is no longer available. If you’re looking for other incentives other than the possible initial savings or savings over the course of a lifetime, there are a few programs that are still available, but they may not be for much longer. Always discuss the possibilities of incentives with your utility company and your solar installer. Fortunately, incentives helped build a solar market in California and drive down prices, so you’re actually better off today going solar than with the incentives five years ago. 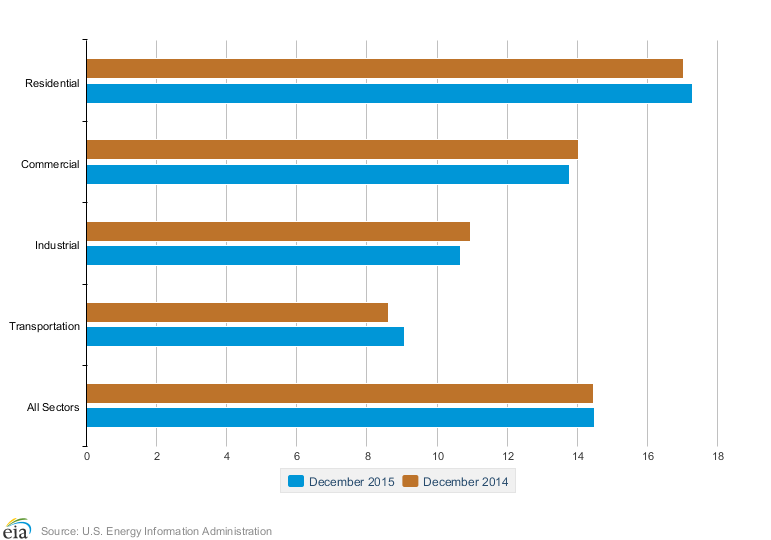 California does have the best overall incentive for solar and that’s Net Energy Metering. This is the law that allows you to produce as much power from solar as you want and deduct those ‘credits’ from your bill. More often than not, this allows for some very impressive savings. California is an ideal state to take advantage of Net Energy Metering. The basic definition of this policy is that solar panel owners are able to sell their surplus solar electricity back to their utility company at the same price for which they would sell it to the customer. This amazing program will be covered in greater detail in another section but it is a wonderful option offered by California that helps solar panel owners to not just save money but actually make money as well. Right now, the largest incentives for solar power is the energy savings, which translates into financial savings. More detailed studies are needed to truly determine all of the savings and costs associated with solar power. Other factors, like the reduction in carbon dioxide levels, have not been included in the estimated final cost of solar power. Once all of these different cost factors are included, it will be easier to predict future savings when it comes to different energy sources, including solar. When discussing solar with your peers and neighbors, some might bring up certain tax incentives and credits. Unfortunately, most of these bonuses are no longer available to residents of California. But don’t let that fool you into thinking that solar panels can’t save you more than the obvious utility savings. First, solar panels actually increase jobs, even though it seems they would eliminate them. If a large percentage of a population in an area begins to install solar panels, the jobs created would have an economic boost with plenty of benefits that would trickle down into everyone’s pockets. There’s also the unknown amount of money that will be saved in the future. It’s easy to know how much you’re saving a month after you see some data from your solar system. What you can’t see is how much you’ll save as standard electricity rates rise. The average increase is 3.5% per year, but many places see much more dramatic increases. As fossil fuels deplete and the demand for energy increases, it’s easy to see how the future of standard electricity is a little concerning from several perspectives, including financially. If you focus on the largest incentive, which is keeping more money in your pocket each month and lessening your dependence on standard electricity, you’ll be pleased by your savings. Besides state incentives, there are also city incentives that residents can take advantage of. Of course, each city is a bit different, but here are some of the details for larger cities in the state. Los Angeles offers an incentive of $0.40/watt of installed panels on your home. Most homes have between three and eight kW in their solar installation so a great average to use is 5 kW. The way that the final incentive is measured is incredibly complicated but can be easier to understand at the Los Angeles program page. Sacramento offers a unique incentive that allows lower-income families to be able to afford solar panels. In order to qualify, you will need to earn 80% less than that of the median family income in the area. You’ll also need to live in a home that has been classified as affordable housing. If you do qualify, you might be able to earn a rebate that will cover the entire cost of your solar installation. The size of the rebate will be based on your income so if you’re counting on your rebate to cover the entire cost, make sure that you have a good idea of what it will be. You can learn more in this pdf. San Diego offers the same program for lower-income families as Sacramento. Like all of California, they are proud to have property tax exemptions regarding solar equipment. Keep in mind that if your solar panels decrease your electricity bill by $1,000 a year (which is absolutely possible), it is estimated that the value of your home would increase by $20,000. This could mean a large increase in property taxes, which would wipe out your electricity savings, making this an excellent exemption to have in order to encourage the use of solar panels. The California Property Tax Exclusion for Solar Energy Systems saves homeowners money when they decide to upgrade to solar power. Under the California tax code, solar power equipment does not add value to the piece of property it is installed on. This means that your property value won’t increase, which would, in turn, hike up your taxes. Instead, your property taxes will remain the same, unlike other improvements that you might make on your house. The only required documentation is a receipt of purchase. 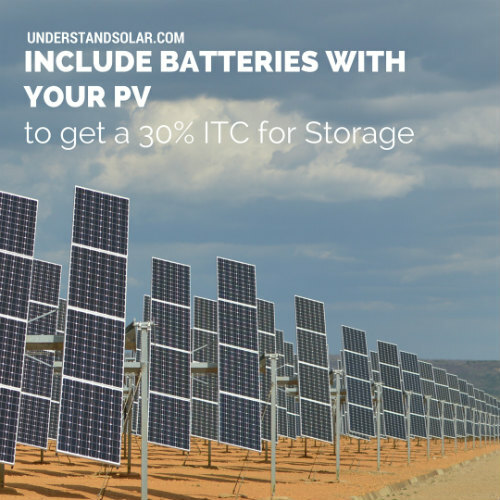 But the solar setup needs to be considered active, which by state definition means “solar devices, which are thermally isolated from living space or any other area where the energy is used, to provide for the collection, storage, or distribution of solar energy.” Equipment that helps to make the solar setup work, like ducts or pipes, can often be exempted from property tax at a rate of 75% of its value. This exemption applies to both new and older properties, as long as the seller of the home has not already claimed the exemption. Property owners can apply by contacting their county assessor. Under this exemption, you can add as much solar equipment as you would like to your property without paying taxes. 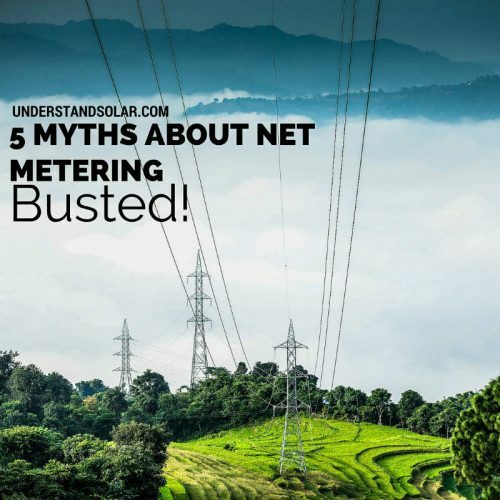 As discussed above, Net Energy Metering, or NEM, is the major driving force for solar. NEM is a specific billing arrangement that provides you with credit from your solar system. The credit will be for the full retail value of the electricity that your system generates. Your electric meter keeps track of the electricity consumed and how much is produced. You get a credit for all energy you produce above your demand at that moment, and get charged for what you use. Over the course of a year, you have to pay for the electricity that was used above and beyond what the solar power system generated. A solar system can produce more or less electricity than what is needed in the home at the moment. When it makes more, the energy is pushed back into the power grid. But when it is not making enough energy to keep up with a customer’s demands, then it pulls additional power from the grid. The customer will never notice a disruption in their power supply from this. NEM is the best way to increase the rate of your solar system return. It allows you to zero-out your bills and credits your accounts at full retail rates when you don’t use the amount of electricity that your system is generating. The best part is that when your solar installation is generating power (middle of the day), you are able to sell the power for maximum value because that is when power is the most expensive. Then when you use power (generally in the morning and evening), you buy power when it’s cheapest. To qualify for NEM, you must live in California and generate at least some of your electricity using solar or even wind energy. Your system’s peak capacity output must be less than 1,000Kw. You must apply and receive approval from your utility company in order to have your system connected to the utility grid. Any reputable solar installation company will explain this to you and make the application on your behalf. Like all great things, NEM may not be around for forever, so get solar while the getting is good! A remodeled bathroom does not automatically increase the value of your home. If the layout is poor or if it’s far from visually attractive, you might see the value of your home decrease. The same concept applies to solar panels. While they can absolutely increase the value of your home, making for a much more enjoyable selling experience, they can have a negative effect on your selling attempt as well. Here’s how to protect your future when adding solar panels to your home. Research from the National Renewable Energy Laboratory suggests that for every $1 in energy saved, the value of your home increases by $20. This will vary by the size of your installation and the initial overall value of your home. In California, even a small 3.1-kW system can add nearly $20,000 in value to a medium-sized home.What's more, if you install solar panels on your home, you can not only ask for a higher price but your home might even sell up to 20% faster, compared to similar homes without solar installations. All sounds pretty good, right? The main potential disadvantage when it comes to solar panels and selling your home is if you lease the equipment. It is possible to transfer the lease to the new owners of the home, but they will need to qualify. If their credit is poor or they’ve had issues with solar leasing companies in the past, they may not be approved for the lease transfer. This could actually lead to the sale of the home falling through, although all major solar lease products now have customer service teams that will help in this process. If there’s one competition that all states should be in, it should be who can become the highest solar energy state the fastest. 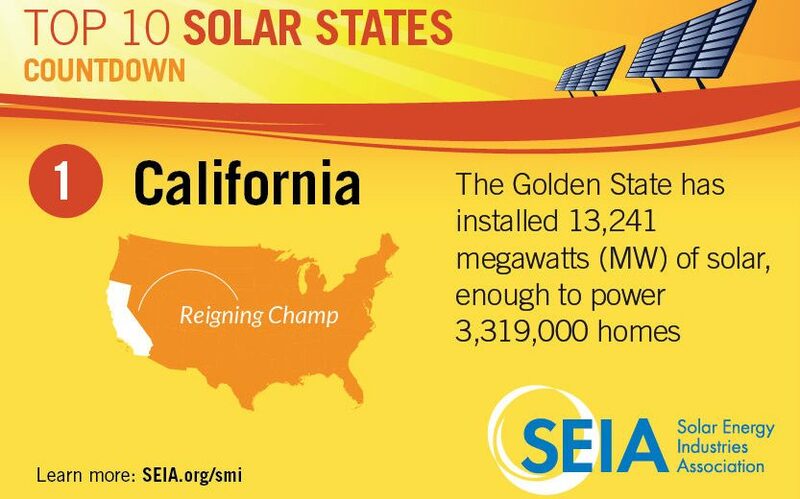 California is a solar giant with more solar power capacity installed in the state than all but six countries. Not only is the state advanced in their solar capabilities, they also make it easier for their residents to gain from solar and not just with lower electricity bills. There are plenty of state and local incentives that put cash back in the pockets of residents, encouraging the solar growth. Whether you’ve decided to buy your solar panels outright, lease them or finance the purchase, you need the help of a great solar installer to help make sure that the job is done right. But with over two thousand solar companies working throughout California, how do you know which is the right choice for you? First, you’ll want to make sure that you’re avoiding any type of scam. A qualified and licensed contractor should help you select and install the best system for your home. The installer should be NABCEP certified. They’ll also walk you through the process of submitting an application for the appropriate incentive program. You’ll be presented with all of your financing options, based on whether you’re purchasing or leasing the panels. Your contractor will also make sure that your solar panel system is safely connected to the grid and provide you with warranty information. A repair and maintenance schedule should also be set up at the time of installation. Before you choose a contractor, make sure that their contractor’s license is valid and that they are “NABCEP solar certified”. When you meet with your contractor, ask to see their contractor licenses and a photo ID. You should meet with at least three solar contractors before making a final decision. Be sure to consider all of your bids carefully. Don’t just choose based on price. A low bid doesn’t mean that you’re necessarily getting a deal and a high bid doesn’t mean that you’ll be receiving the best service. Don’t hesitate to ask questions. Request references from previous customers to make sure that the contractor’s work is satisfactory. Once you’ve made your decision, read the contract carefully. Check all warranties and maintenance agreements so that you won’t be left out in the cold should there be an issue. Only sign the contract once you’re completely satisfied with the terms and know all the details of the payment. Remember that California State law states that your down payment should never be more than 10% of the contract price or $1,000, whichever is less. When it comes to making the final payment, make sure that the system is functioning properly and that you’re satisfied with the final product. Solar power has been growing rapidly in California. This is mostly due to strong community support, declining solar costs and the Renewable Portfolio Standard, which requires that the state provide 33% of its electricity by the year 2020 and an impressive 50% by the year 2030. Most of this power will likely come from solar panels. If you live in California and aren’t currently utilizing solar energy, now is the perfect time to do so. Electricity in California is much more expensive than the rest of the country. Over a lifetime, higher electric bills add up to a small fortune. Installers in California also offer plenty of ways to fund your solar panel investment. If you can’t afford to pay for it all upfront, there are ways to lease equipment or obtain a loan for your solar needs. You may even begin using solar energy for absolutely nothing down. You are still learning about solar power and most certainly still have a few questions about all of the factors that go into making it happen. The good news is that if you live in California, there are many great installers available to help answer your questions, give you an accurate quote on your projected savings and point you in the right direction towards making your solar dream come true. Sign up here and we will help you find the most reputable solar installer in your area! They also appreciated how smoothly the process went with Solarize Santa Barbara. They didn’t have to research companies or figure out which technology was best; they just had to sign on the dotted line. The Uleps completed the remodel and had their solar panels installed in February, 2012. Chris says the solar panels were well worth the initial investment. Before the re-model, their electricity bill was averaging $125 per month. They now pay a flat rate of $70.25 per month — a rate that is locked in for the length of their 20-year contract. Based on projected energy costs of electricity, the Before the re-model, their electricity bill was averaging $125 per month. They now pay a flat rate of $70.25 per month — a rate that is locked in for the length of their 20-year contract. Based on projected energy costs of electricity, the Uleps will save nearly $28,000 over the 20-year term of the lease. Beyond the financial savings, the Uleps have tracked the environmental benefits of their solar panels using Sun Run’s monitoring software. Each year the Uleps solar panels prevent the emissions of 8,150 pounds of carbon dioxide. Put another way that figure equates to the offset of 8,418 vehicle miles driven or the planting of 91 trees. In order to go solar, the Uleps needed to cut down a backyard tree that was shading their roof. Fortunately, tracking the positive environmental impacts of their system and enjoying financial savings every month has made the tradeoff of removing the tree to go solar an easy one.